I want to introduce 1,000 kids to the game of golf…for FREE! I’ll provide Junior golf clubs for your child’s use during their time here…FREE of Charge! I’ll provide the range balls…one bucket for an introduction, and 3 more FREE of Charge! Here’s the catch, we need you to find the kids and bring them to Mallard Creek. Your own kids, your kid’s friends, nieces, nephews, grandkids, neighbor kids, the little league team, the girl scout troop…bring them all. I want to reach 1,000 kids and introduce them to the game we all love so much. Trust me, it will be a moment both you and the kids will remember forever. 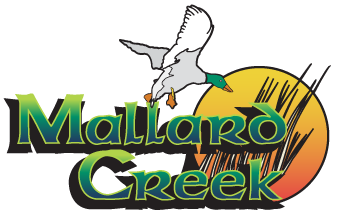 Bring any child who would like to learn how to play golf up to Mallard Creek and he or she will receive a FREE bucket of range balls when an adult accompanies them to our course. To sweeten the deal, I’ll even throw in a free bucket of range balls for the adult who brings the child during their first time out. The participating child will receive a membership card with 3 preloaded buckets of golf balls on the card (like a punch card). All we ask is for one email address from the accompanying parent. Other than that, this program is a great way for you to get your kids involved with golf at no cost to you. You can come out anytime to to take part in this program. However, the best time to show up are on Wednesday evenings between 6:00 pm – 7:30 pm. Our Pros, Jim Wise, Trummie Hudson & Chris Sturges will be working the range free of charge during those hours. All you have to do is show up, bring the little ones, and let them get swinging away…our Pros will take care of the rest!